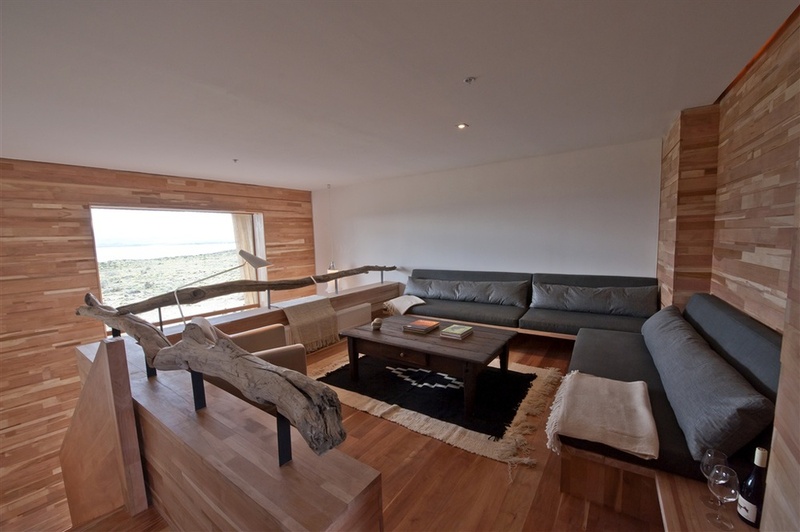 Lodges in Patagonia are selected by INCA for their comfort, location and authenticity. 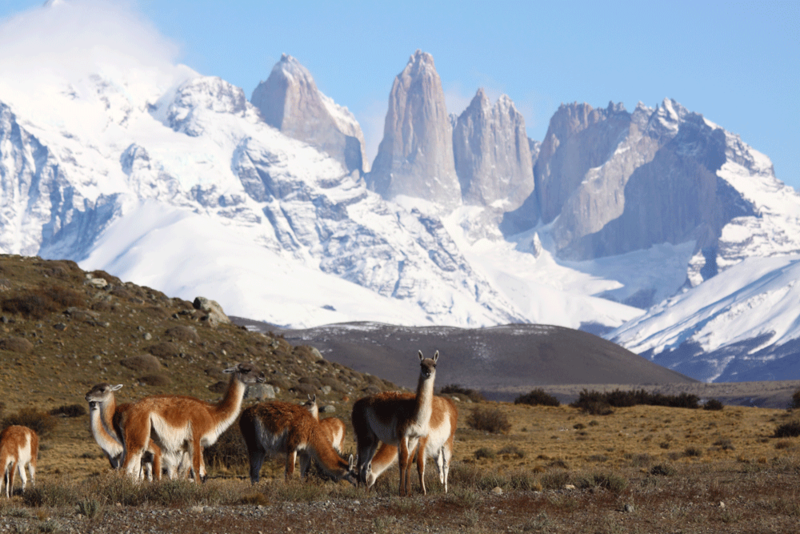 On the shores of Lake Pehoe, Explora Patagonia has breathtaking views of the Paine ridge and the granite towers. 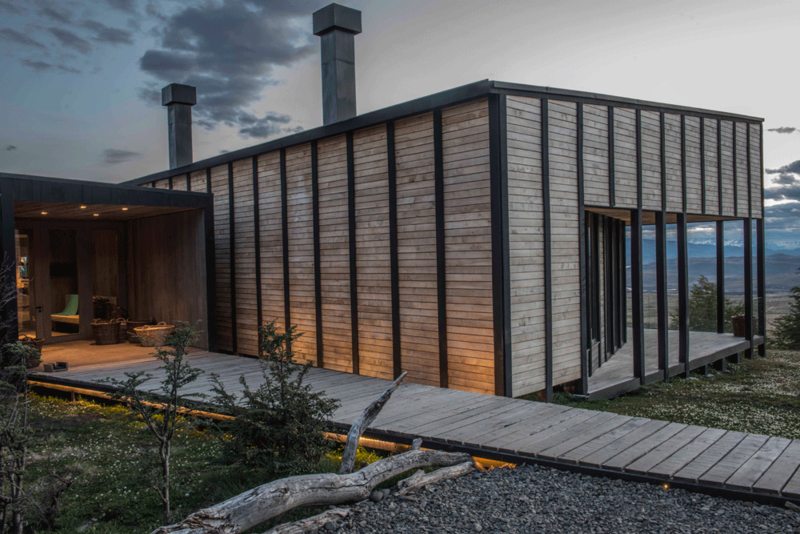 Its construction is based around essential luxuries, allowing the traveler to inhabit the remote location in its essence without distractions. 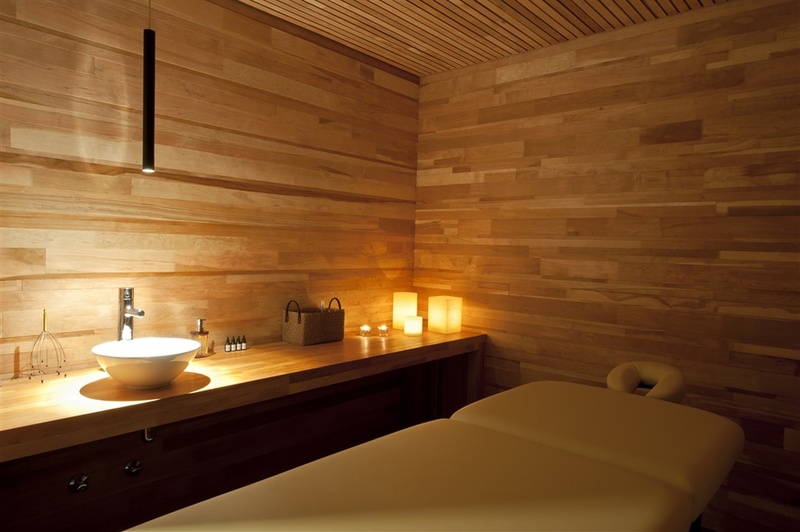 Wood plays a fundamental role in its design, with species such as lenga, cypress and almendrillo. 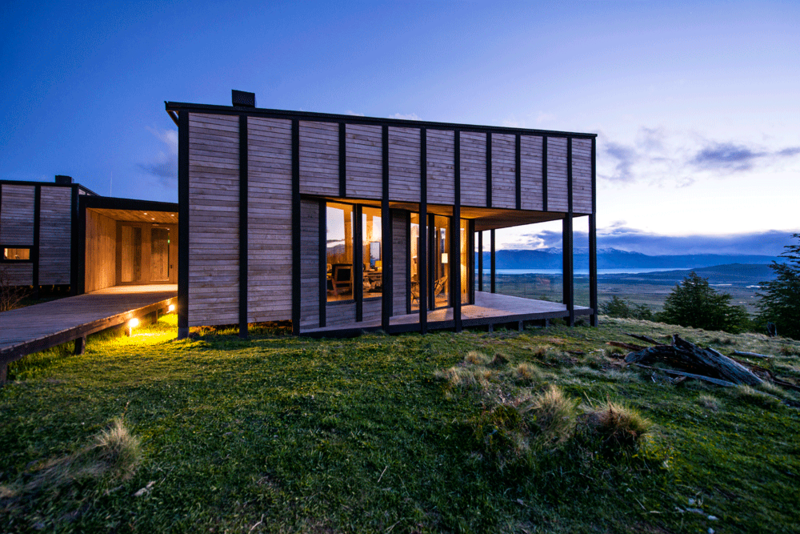 Explora Patagonia is our standard property on most Patagonia itineraries. 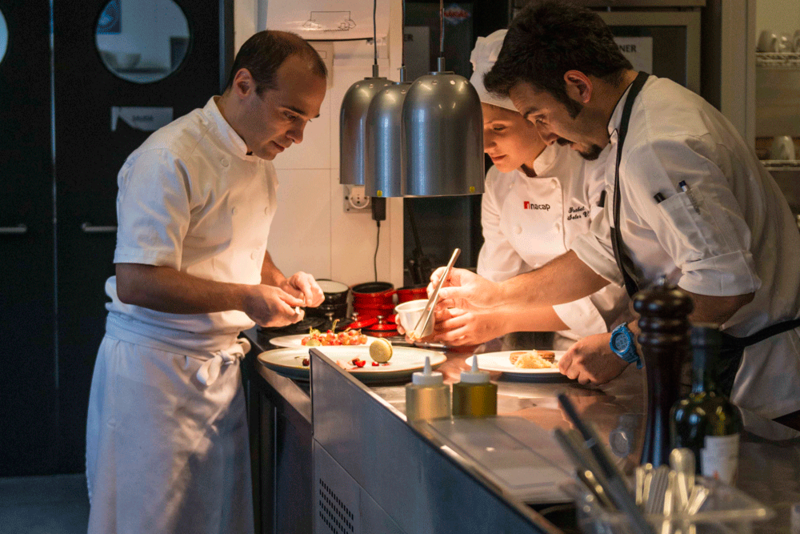 It may also be booked on a custom basis. 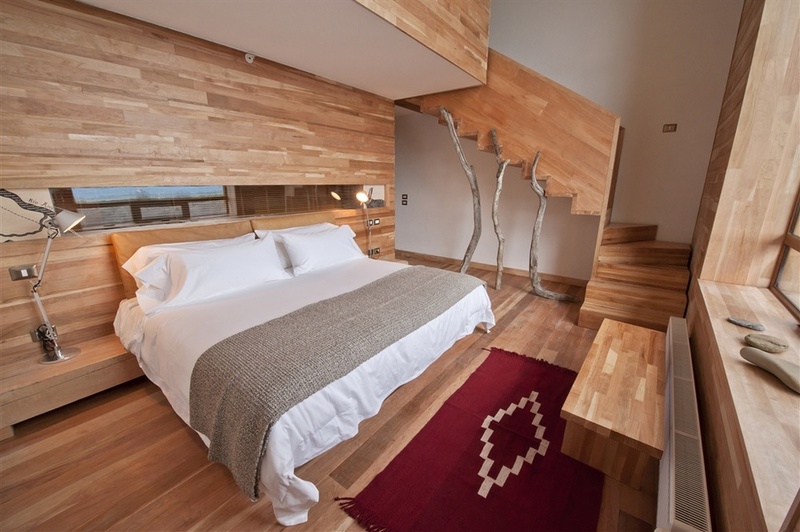 Tierra Patagonia Hotel & Spa sits on a bluff where the South American pampa meets Lake Sarmiento. The building is immersed in the landscape and emerges from the hillside. 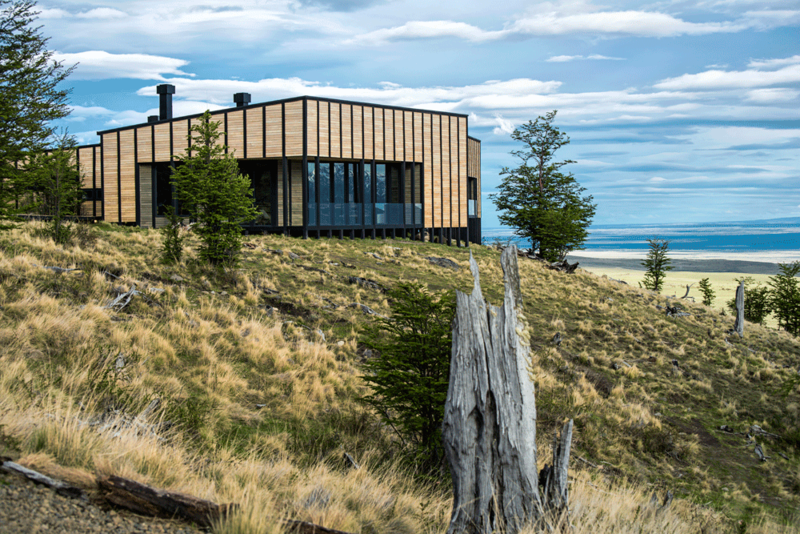 The award winning architecture complements the flow of the geology in this privileged location and showcases the magnificent views of the Torres del Paine National Park. 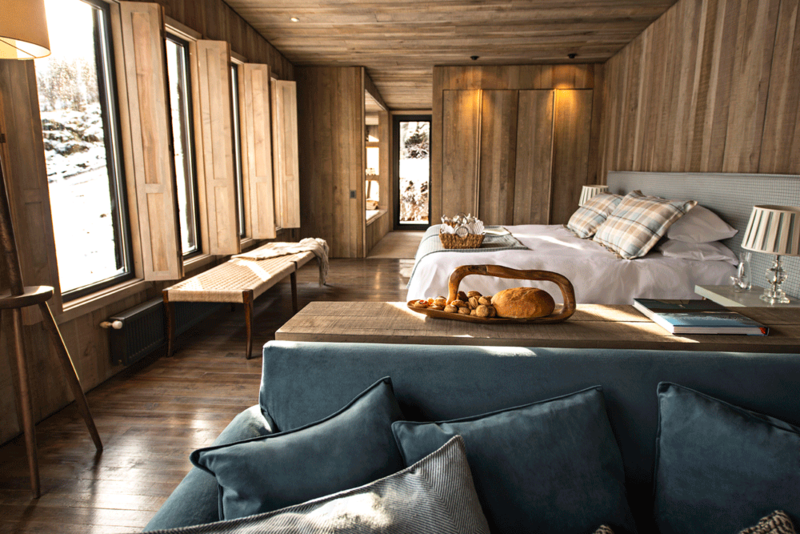 Furnishings and textiles were hand made by Chilean craftspeople, using natural materials from the region, high quality workmanship and inspiration from the surrounding estancias as well as the influence of the native Tehuelche people. 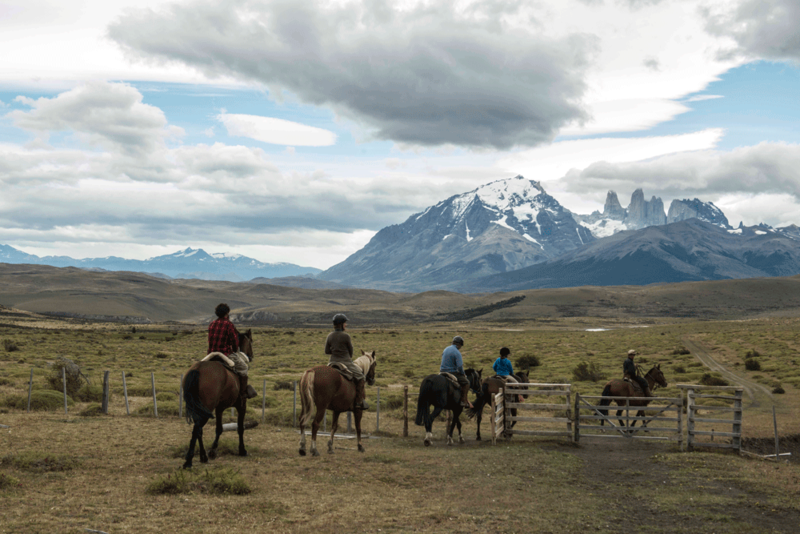 Tierra Patagonia is offered as an alternative on our Patagonia journeys, and may also be booked as part of a custom Chilean adventure. 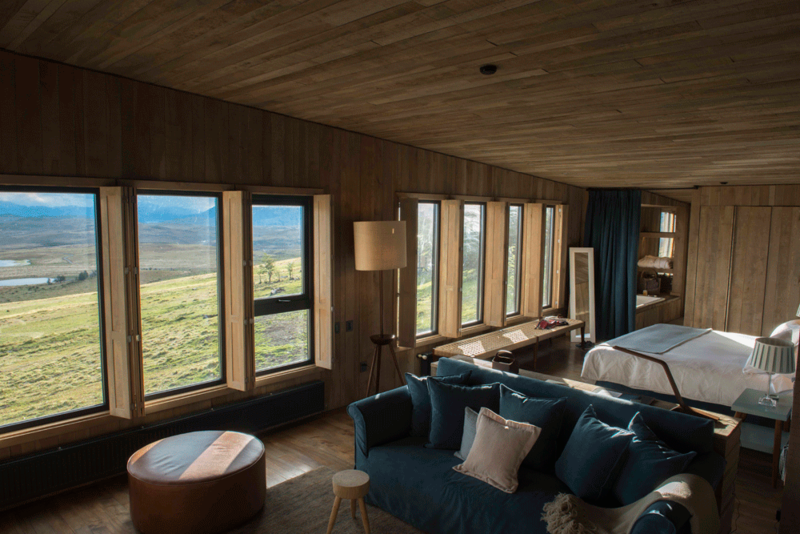 Awasi Patagonia is situated inside a private reserve neighboring the Torres del Paine National Park, from where you can enjoy imposing views of the Torres del Paine peaks and Lake Sarmiento. 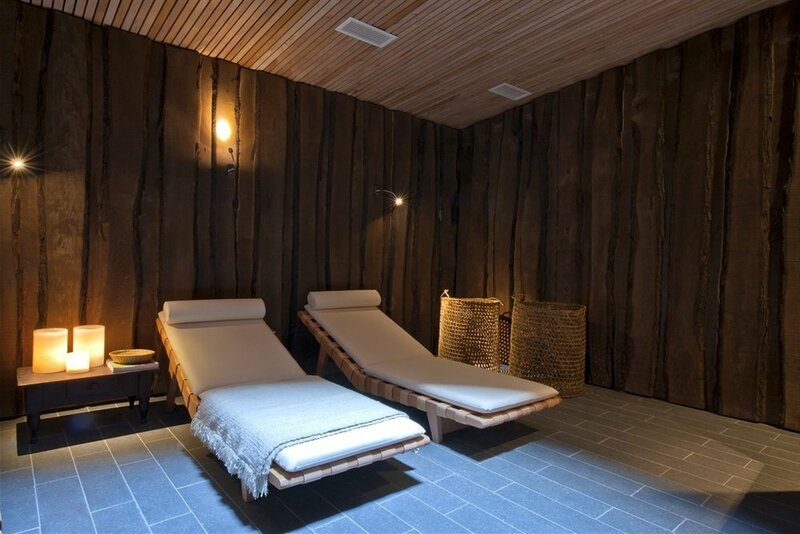 The chosen location is protected from the strong Patagonian winds by a luxuriant native forest of local species of beeches called lengas and ñirres. 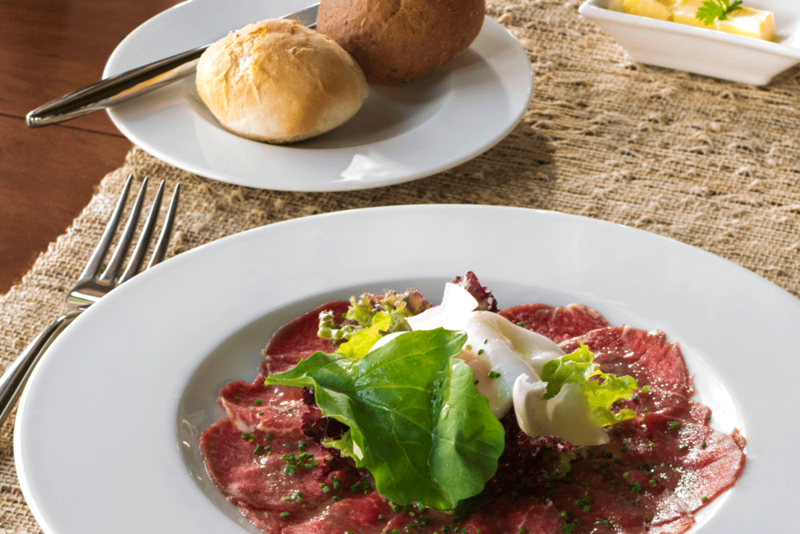 Awasi Patagonia is offered as an upgrade to our Patagonia journeys, and may also be booked as part of a custom Chilean adventure.